There always seems to be a number of things in my life that seem impossible to accomplish. Like getting through my to-do list, having an empty inbox, and losing that last five pounds. Other things, like fixing a relationship, following a life-long dream, getting out of a financial hole, often seem even more impossible. What about your own life? Do you feel like you just don't have the energy anymore to even attempt reaching for the impossible? 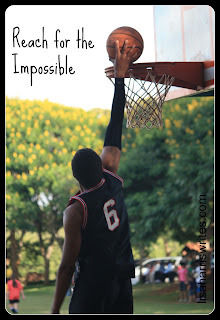 As I look at my own life, here are four simple ideas how to reach for the impossible. 1. Seek Him first. It seems easy, but this world tends to pull us in a thousand different directions. What are your priorities. Are you truly seeking him first? Are you just a fan of Jesus or are you truly striving to be a follower. I just finished reading Not a Fan (the teen version) and was deeply challenged by what it means to become a completely committed follower of Jesus Christ. Jesus wants what is best for us. He wants us to dream big. Then we can rely on Him to do the impossible. 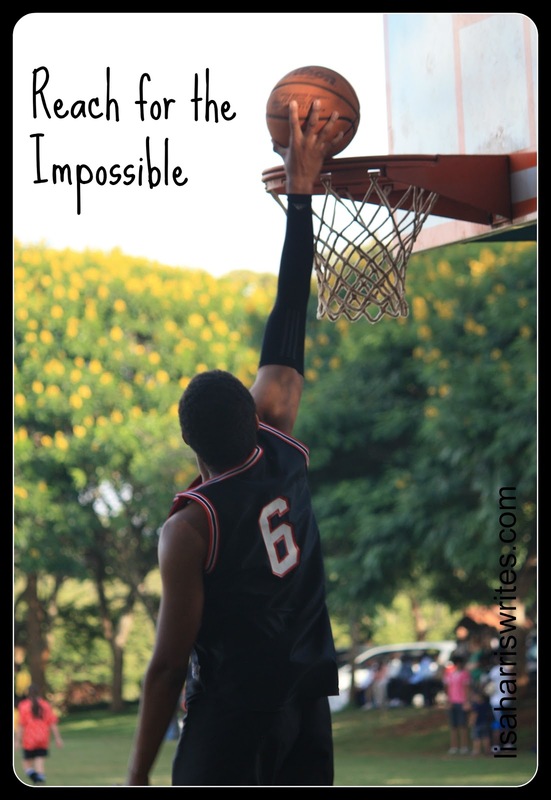 Jesus said in Luke 18:27 that what might seem impossible to us is possible with God. Psalm 37:4 tells us to take delight in the Lord, and he will give you the desires of your heart. Take one day at a time. I can't help but think about my own writing journey when it comes to taking life one day at a time. I started my first novel sixteen years ago. I wanted to be published, but I didn't know anything about the business. I started learning about publishing, writing everyday, going to conferences, and educating myself. That first book will never be published, but that's okay. Just like relationships won't be fixed over night, financial issues won't be solved by morning, sometimes we have to take life in baby steps. Figure out what steps you need to take, then move forward. Find an prayer partner. I've come to realize how important it is to find someone you trust that you can share with them your dreams, hurts, and victories. I have a couple very important people in my life who I pray for and I know they are praying for me daily. Living overseas makes it hard but these relationships are very important to me. Be intentional about your relationships. Just do it! So what is your dream? To climb a mountain, run a marathon, write a book, mend a friendship, adopt a child. . .you fill in the blank. Seek Him first in all you do, take that first step, and reach for the impossible. It's been a while since I posted an update on my books, so here we go. I've been busy writing up a storm the past few months, and while the book I'm currently working on is definitely one of the most difficult books I've ever written, I'm loving the challenge. My publisher recently sent me the cover of my June release. So if you love romantic suspense like I do, it's now available for pre-order on Amazon. 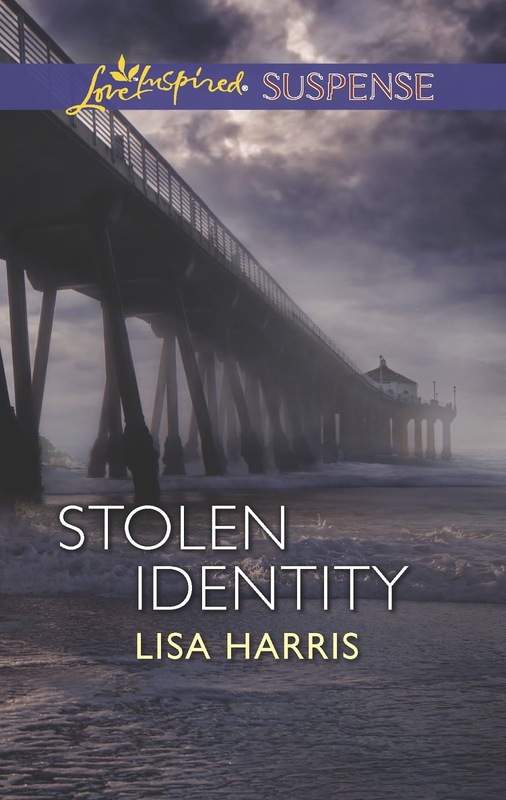 Danielle Corbit doesn't understand why someone would want to steal her identity. A single mother running a small business--nothing special, right? But after discovering a dead body on the Oregon coastline, she's attacked by a dangerous hacker who will stop at nothing to frame her. Only her former fiance, Jason Ryan, is willing to help. Years ago she broke his heart, but he can't walk away from a woman in need. He'll do anything to protect her from their unseen adversary. But is there enough time to work together and untangle this twisted web of fraud and deception? Next, it won't be too long until I can share the (gorgeous) cover for another romantic suspense series I'm writing for Revell. It's slated to debut in September. Lastly, if you love cozy mysteries, my Pricilla Crumb Cozy Mystery Series, (three books) will finally be available as ebooks in the next few weeks, so watch for more information here, AND a way to get your free copy of book one! I've said it more times than I can count. I will never. . . I will never move again. I will never learn another language. I will NEVER send my children to boarding school. So as you might imagine, the decision to send my eldest off to boarding school didn't come easy for me. How could I let people I didn't even know help me to raise my teen? Wouldn't it ruin our relationship? I cried, fought God, but eventually have come to realize what a great opportunity this school is for my child. I just returned from spending a little over a week with our eldest who is attending a missionary boarding school in Kenya. I got to hang out with him over meals, watch him play basket ball, attend some of his classes, and spoil him. At one point he told me how a lot of his American friends can't understand why he is at boarding school. Isn't boarding school where you send your child you can't control, or when parents don't really love them? He's quick to tell them that isn't true. With options limited where we are, he wanted to go. He loves his school, and is blessed with opportunities I can't give him where we live that will equip him for the future. One thing I did realize while I was there is how important it is for us to visit, meet his teacher, and just confirm to him how much we do love and miss him. He loved being spoiled with a plateful of somosas from the little cafe in town, and iced coffee from the city. Below are a few shots I took of him playing basketball. This is only his second season to play, and while I might be his mom, he is really good. I've learned through this that sometimes my plans are not God's plans, but He is able to bring good out of difficult situations, and provides for our needs.